After a somewhat disappointing opening recital in this series of four, Daniel Barenboim made a stronger impression, if still somewhat short of his best, in the second. Perhaps the fuss over the not-so-new piano had subsided; perhaps he had become more used to it; at any rate, I noticed it less, and indeed, especially in the closing C minor sonata, heard more of its virtues. Schubert may not actually benefit so much as Beethoven from such back-to-back treatment, but there is certainly much we can learn from hearing many of his piano sonatas over a week. The B major Sonata opened in forthright fashion. Chords often – and it is difficult to say how much of this was owed to performance and how much to the instrument – sounded Lisztian; perhaps the key led one’s ears in that direction too. Barenboim rendered Schubert’s dotted rhythms and harmonies generative, but the performance often lacked warmth, proving most compelling at its most withdrawn. Transitions in this first movement could prove stiff, but that is partly a matter of the work itself. Liszt again came to mind as a potential destination for the Andante; I was put in mind of the slow movement of the B minor Sonata. Barenboim communicated an ambivalent view of the Allegretto, far from carefree. Here, hesitations made better musical sense than they had two nights earlier; there was a good sense of the exploratory, especially with respect to tonality. The Trio seemed to fuse post-Mozartian drama with a rusticity that had its roots in Haydn. Schubert’s finale emerged almost as the proper scherzo, rhythm very much a Beethovenian driving force. The opening chords of the G major Sonata showed a Schubert more recognisable as the composer of the songs, in many of which Barenboim has proved an outstanding pianist. His weighting enabled Schubert’s different voicing to show his difference from Beethoven in the G major Piano Concerto. The filigree and harmonies of the Impromptus were winningly suggested too. Wanderings or digressions – according to taste and/or æsthetic – were characterful and, for the most part, well integrated. The Andante was nicely poised, definitely ‘late’, casting an early neo-Classical gaze back to Mozart. I still, however, could not help but think what gains there would have been from the greater warmth of a Bösendorfer. The episodes erupted, but did they sometimes overshadow the prospect of a longer line? Is there indeed a longer line here? Whatever the answers to that, Barenboim’s playing at its most hushed imparted a due sense of wonder. In the third movement, he sounded a born Schubertian, lilt and harmonic motion perfectly judged. Occasional smudged chords mattered far less than they had on Wednesday, since the sense of the work was more strongly apparent. The Trio offered further beautiful pianissimo intimacies, although I sometimes wondered whether less rubato might have proved more. The finale continued in similar vein, sometimes a little fussy, but certainly having me rethink the work. The opening of the C minor Sonata showed commonality yet also difference not only with Beethoven but also the Mozart of KV 457. Concision (relatively so, at least, for the composer) certainly seemed inherited from both, albeit in intriguing, generative dialectic with a tendency toward expansiveness. The Adagio received a notably – far from inappropriately so – Beethovenian reading, above all in the integrity with which Barenboim voiced the opening theme. Minor key passages proved especially dark-hued, characterising the movement as strongly as hoped-for consolation in A-flat major. Sometimes, Barenboim seemed a little unyielding, but there was undoubted purpose to his reading. An enigmatic Menuetto – no bad thing in itself – sounded a little too distended at times, but strength of purpose was resumed in the finale, a furious dance of death, which yet proved properly variegated. Here, the colours of the instrument’s bass register came into their own; at one point, I readily imagined growling cellos and basses. Liszt again seemed more of a guiding spirit than one often hears. Much, then, to ponder, if not always, at least in my case, quite to agree with. The excitement concerning Daniel Barenboim new piano did not necessarily augur well. A great deal of nonsense had been spoken and written before this first of four Schubert recitals. ‘The first new piano since XXXX’ was a common theme: a claim so misleading as to merit no further discussion. Moreover, whilst there is certainly no need to scorn possible technological developments, the last thing we want is for piano recitals to become more like their organ counterparts, players and audiences more interested in the instrument than in what is being played and how. I was certainly taken aback by the tone of the instrument, but not, I am afraid, in a good way. It struck me – and it is, of course, not always easy or even possible to distinguish between instrument and performance – as having managed to combine some of the less attractive features of a not entirely modern Steinway with those of a mid-nineteenth-century Erard. Barenboim has apparently extolled the virtues of different registers having more truly different characters: perhaps again, one might think more of different organ registrations. For me, however, there was far more in the way of loss in the apparent inability of different ranges of the keyboard to cohere as a single instrument – and still more so, in their tonal stridency, especially when playing forte or louder. There was, I grant, considerable clarity, often strikingly so; but is that one’s greatest priority for Schubert? I felt a little as I had when hearing Pierre-Laurent Aimard playing The Art of Fugue; it may have been interesting conceptually, but I did not like it very much. I should happily have sacrificed some of that clarity for the warmth of a Bösendorfer, for me a far more satisfactory instrument in this and much other repertoire than a Steinway. On the other hand(s), maybe Barenboim needed to become more accustomed to his instrument; or maybe I was just reacting negatively to the shock of the new (which, frankly, did not sound very new at all). My reaction to Aimard’s concert, however, had been a reaction to the performance, not to the instrument. If Barenboim’s performances had been more compelling, less patchy, I am sure the matter of the instrument, whether for good or for ill, would have assumed lesser importance. The opening A minor Sonata is a very difficult work to bring off; Barenboim, greatly to my surprise, did not come close to doing so. The strange swings of mood, curtailments of phrases, the necessary efforts to bring the notes together into a coherent whole – perhaps not unlike the keys on the new or any instrument? – can, in the right hands, make one think, as so often with Schubert, of Webern. Not here: offhand, I cannot recall so charmless, almost literalist – albeit with strange interventions from time to time – performance from Barenboim. There was, one might argue, a laudable refusal to sentimentalise, to consign Schubert to the dubious clutches of the Biedermeier; but what was there beyond that? If I contrasted the performance with one I heard from him a few years ago of Mozart’s great sonata in the same key, admittedly a far superior work, then the drama, the poise, the beauty, the anger, all those and many other qualities were not only absent but had no evident replacements. It was, frankly, an ordeal, rendered all the more so by the harshness of the instrument. The ‘little’ A major Sonata, D 664, fared better. Barenboim and his piano seemed better attuned to moments of hushed intimacy; and, to be fair, the passages in the higher treble, at whatever level of the dynamic range, showed capacity to captivate, to draw one in. There was much, however, that was so brusque as to sound merely perverse. Moreover, it was not really until the third movement that Barenboim’s greatest inheritance from Furtwängler, his generally striking ability to hear and to communicate the longest of musical lines, was evident. Weirdly, I felt as though I had been hearing a pianist more influenced by the likes of Nikolaus Harnoncourt. How I had longed for Sviotoslav Richter! Parts of the late A major Sonata, D 959, impressed, although it was difficult to avoid the suspicion that Barenboim wished he were playing Beethoven. Heavenly lengths threatened to seem merely meandering. Technical difficulties were a little too numerous too. There were moments of high, if not necessarily appropriate, drama, and splendid contrast – the ending of the first movement, for instance – but the integrative mastery on display in his recent performance of Schubert’s ‘Great’ C major Symphony was, to my ears, strangely absent. Oddest of all was the slow movement, in which time seemed to stand still, but not in that magically ‘suspended’ way that often comes to mind in Schubert. Instead, lines led nowhere, and the music ground almost to a halt. The final two movements sounded relatively conventional, but some way short of inspired. It is certainly not a matter of Barenboim having no feeling for Schubert; I have heard him give wonderful performances, whether as conductor, collaborative pianist, or soloist. For whatever reason, however, tonight was not the night. An audience that had cheered him to the rafters before he had played a single note begged to differ, but I was far from the only dissenter. And this is a musician I admire greatly. 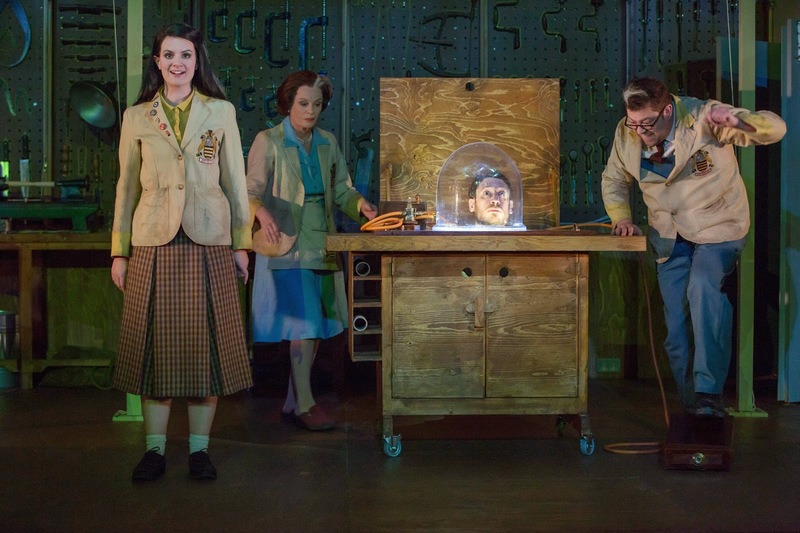 When I saw this production open in 2012, I opened by writing, ‘A triumph for ENO! I suspected that Carmen would prove eminently suited to Calixto Bieito’s talents, and so it proved. Shorn of any ‘picturesque’ pandering – remember Francesco Zambello and her donkey? – what we saw here is perfectly attuned to Bizet’s resolutely unsentimental score.’ And so it still very much seems, under the able revival direction of Bieito’s then assistant, Joan Anton Rechi. The updating to the tawdry end of the vicious Franco regime continues to resonate; violence is in the air and more than in the air. At any point, it can and will claim its victims, many of whom we see on display here. We too live in a militarised society, although one that remains slightly more bashful about proclaiming itself to be such; we can draw parallels without their in any sense being forced upon us. We certainly know poverty, racism, misogyny, and the other forces we see depicted on stage; we also know, increasingly well, child abuse – and the figure of the small girl, both loved and abandoned by her mother, looks to an uncertain future most likely to be cyclical, or worse. But above all, Bieito’s mastery of his craft as director and storyteller comes through. Characters who can sometimes seem romanticised, caricatured, even one-dimensional are more complex than we generally see. Carmen stands out less than is often the case; her vulnerability is as much social as personal, and all the more credible for that placing. Likewise Micaëla’s greater capacity for agency, her deviousness – no mere ‘angel’ on this occasion – make her a far more interesting character. Has she even invented the story about Don José’s mother? 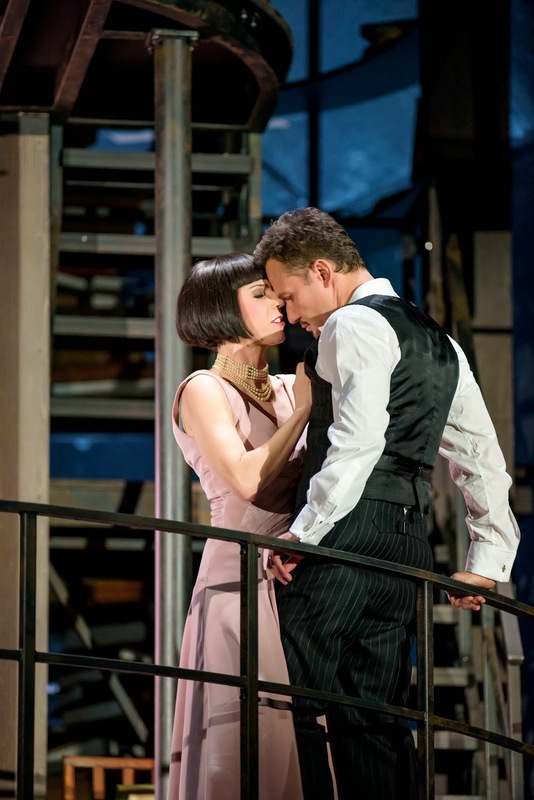 She certainly expresses triumph upon prizing him away from Carmen, harking back to the first scene in which she cannot prevent herself from kissing him – and clearly feels no shame in having done so. ‘Franco or his successors?’ I asked last time. ‘Is there that much of a difference, especially under the present regime?’ We may make substitutions across history, across the world, whilst at the same time remaining plausible specificity, indeed ruthless realism. Ryan Wigglesworth conducted an excellent account last time; I am not sure that Sir Richard Armstrong was not finer still. Each act had its own colour, its own pace, but the ineluctable calling of Fate drove, in the best sense, the action forward. The ENO Orchestra was on top form, its woodwind solos full of character, fresh and subtle as a fine manzanilla. The strings dazzled in as impressive an orchestral performance as I have heard in the Coliseum all year. Likewise, the chorus, of which the director asks a great deal, was its typical excellent self. These were individuals but they were also a threatening and threatened mass. Justina Gringyte was somewhat more aloof than Ruxandra Donose, but equally convincing as a character. Hauteur, relatively speaking, worked well here, and she could certainly turn on the charm when required. Her lines were clean, and her slightly accented English equally clear. Don José is a difficult role; in the beginning, Eric Cutler seemed a little too generalised, too lacking in charisma. However, he seemed, especially in the context of a strong company, to grow into the role. Leigh Melrose’s reprise of Escamillo offered an uncommonly subtle reading, in which the relationship between vulnerability and machismo – ever a ‘Spanish’ theme, even for a Frenchman such as Bizet – was intriguingly explored. Eleanor Dennis’s revisionist Micäela did not lack for sweetness of tone, especially during her third-act aria. Rhian Lois and Clare Presland offered vividly characterised readings of Frasquita and Mercédès. Special mention should be offered to Sophia Elton as that frightened, yet strong, little girl. Those who have yet to see Bieito’s Carmen should hasten to the Coliseum; those who have done so before will need no encouragement from me. Let us hope, as I concluded in 2012, for more Bieito from ENO – and, indeed, for the Royal Opera to enlist his services too. The former enfant terrible is now widely recognised as one of the most thoughtful, provocative opera directors at work today; we need to see more of him in London. More from Armstrong would be no bad thing too. Last year’s Strauss anniversary year – 150 years since his birth – offered, at least in the United Kingdom, a typical number of opportunities and frustrations. We heard a good number of excellent performances, not least a superlative Frau ohne Schatten from the Royal Opera and Elektra at the Proms, both, far from coincidentally, conducted by Semyon Bychkov. A fine Macbeth from Mark Elder and the LSO notwithstanding, there was not, though, so much in the way of rare, or even rarer, Strauss. For that, one would have had to travel further afield, or indeed – I should apologise for having slipped into ‘Fog over Channel: Continent Cut off’ mode – have been there in the first place. However, two eagerly anticipated treats for me this year will be Garsington Opera’s new production of Intermezzo and Die schweigsame Frau at the Munich Opera Festival, both works I shall see for the first time on stage. Intermezzo has never fared well in this country, partly, I suspect, on account of unfounded fears concerning the speed of its dialogue. (If that be a problem, then so surely should it be in Der Rosenkavalier.) It came to Edinburgh in 1965, Glyndebourne in 1974, Buxton more recently still in 2012. Now a company that has long prided itself in Strauss performance has opted to perform it, staged by Bruno Ravella and conducted by Jac van Steen, whom I spoke to following rehearsals in East London. I began by asking why he thought the work, for which, following an initial approach to Hermann Bahr, Strauss wrote his own libretto, had been so neglected. JvS: Let me start at the end of the answer. For me, it’s a challenge to prove that it is worth programming this opera more often. The reason I can only guess; it is not a symbolic, metaphorical opera with many layers, like those with libretti by Hugo von Hofmannsthal, which also have so much psychology, so much Freudian background. This opera with very domestic action stands, in the Strauss repertoire, pretty awkwardly. Also, if you look to the title, it isn’t a Traviata: it isn’t called Christine. JvS: Exactly. What happens is that in Intermezzo, he opens a new path for conversational style in twentieth-century music, which is, in the early ‘20s, a very courageous thing to do. In the meantime, we have heard so many musical works that combine a play and opera that it becomes difficult to take seriously something so trivial as a change of names [a mistaken conclusion Christine draws from a letter written by her husband, the composer Robert Storch] to be the cause of a great fuss in Robert’s life. But the score is so brilliantly written that I want to convince everyone that it is worth listening to and programming it more. The other reason I think it is so little performed is that it is so hard, so demanding, for everyone: all the singers have very difficult roles. The orchestra has an even more difficult role; it plays very sophisticated themes played against many other themes. So I try to find my way through the score to make most of it possible to understand; meaning, we worked very hard on understanding of the words. Not because it is in English, but because of the conversational style Strauss asks for. We perform it in English, not in German, but it is set in a German parlando style, so now we have to adapt that style in translation, and then to back to Strauss, and discover what did he want this or that theme to sound like … so we discover that we need another word. MB: … because it doesn’t work; it doesn’t sound as it should. JvS: Exactly. The music is always number one. MB: Which is interesting, given that the general idea is of a conversational piece. But then we see similar relationships in so many of the greatest opera composers when they ascribe greater importance to the poem: Wagner, Monteverdi. And there is Janáček too, who, in this case, we should think of as a contemporary. I’m very lucky in having a fantastic cast of singers and an excellent, thoughtful director, who is very sensitive to the text. He’s a very musical young man, who is very detailed, as detailed as Strauss is; and he makes the set and the setting so detailed that the combination of what you see and what you hear really fits together like it should, but as – let’s be honest – it does so rarely. And working every day six hours on that score must reflect a bit of the fun Richard Strauss had when he was in his hotel room in Buenos Aires. Performing a beautiful Strauss concert in the evening and then returning to write something very bright and intelligent. MB: Also a little like the card games he so loved, which we see here in the opera. His love of skat, whose rules I’ve never been able to understand. JvS: Yes, when we started to discuss the piece, he flew to Holland and came to my house. We had two lovely days and we said we’d play the game. I tried and it didn’t work, because it is so difficult. This is not a one-evening thing. But Bruno, he took a morning with the five card-players and explained the rules of the game. Not out of an idle desire to show off, to show how well he knew the rules, but to show the musical fun that Strauss knew in all of the biddings, the mistakes that colleagues make, all of which is in the music. They did that all morning. … What you see on stage now is the official game as Strauss wrote it out. It’s not just Figure 25: someone puts his hand down, and so on. They actually play the game. Someone loses a great deal of money, for example, and the audience will see that it means something, and that we have a lot of fun in playing the game. MB: So it will convince? JvS: Yes, it will convince. It’s not only performing as an actor and giving your hand because you are told to do so, you are playing the game, and during that game, you are singing your line. It’s one of the hardest scenes in the whole piece. Five people talking with each other, against each other, over each other, through each other, and as a conductor, you have to cue them all in. But as long as they do what Strauss writes, then it works. MB: There’s a lesson there then? JvS: Very much. There is no room for improvisation and that is the motto of the whole opera. I don’t let them improvise, and then it sounds like you and me sitting here talking about the opera, having a good conversation with music. MB: Do you find the shortness of the scenes, their almost filmic – silent filmic – quality, followed by orchestral interludes, a difficulty? JvS: I understand your question but I try not to see it as a problem. What I did, as a parallel to the director playing a game of skat without music, I did the opposite. I asked the singers not only to learn their own parts but … to learn the orchestral, instrumental liaisons between the parts. Sometimes just one beat, sometimes [and then he sang] a short motif, the Eternal Love theme, maybe four bars in the orchestra, to avoid this short-breathed conversational, cinematographic, cartoon-like style. MB: … which can be a big problem. JvS: It can be a very big problem. You then do not see the whole story. So what they do is now, the moment they stop singing [in rehearsals: the orchestra had yet to join them at this point in the rehearsal schedule], they sing in their heads the music from the orchestra. They will sing a clarinet line and carry it on until they sing once again. That helps out, so the conversational, short motif-style has a much longer line behind it. It’s all chopped up into pieces, but we try to convince by having the orchestra as a vocal part, and the vocal parts as an instrumental part. And Strauss is such a genius, that if you understand that trick, then it is all doable. Then the enormous mountain that singers initially have to climb – all this jumpy music: ‘where am I?’ – is part of something else. So long as you understand that process, it is doable. Ok, it takes a bit more time than Traviata, a bit more time than Tosca, but it is doable. MB: What you say makes it sound a bit like Webern, where if you take notes pointillistically, in isolation, they mean nothing at all, whatever Stockhausen and certain others might have said. The moment you hear the line moving between different parts, then it’s like Mozart. JvS: … by interval. 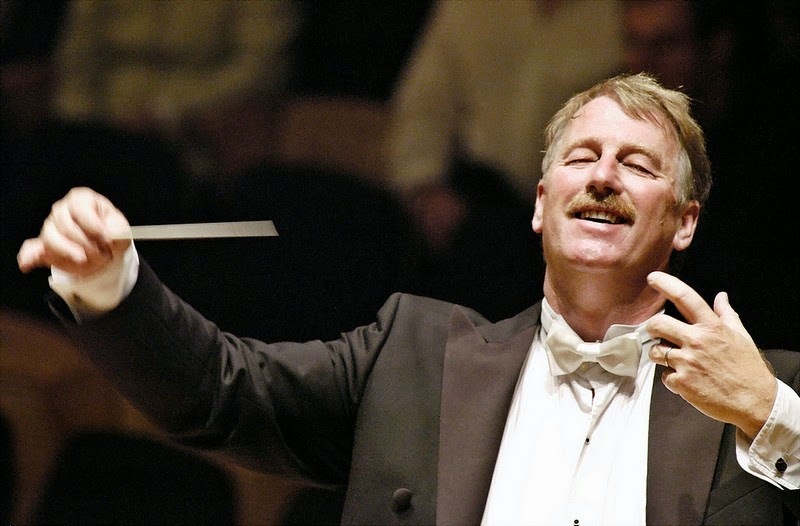 What I do with Strauss too is respect tradition, in that Strauss was a fantastic Kapellmeister, a fantastic conductor, so what you hear in the score is the relationship with Strauss’s role as Kapellmeister. It’s like the game of skat my director played: my assistant and I, we have tried to find the quotations that come from the repertoire of German opera houses. We come to Freischütz; we come to Forza del destino; we obviously come to Nozze di Figaro. It’s in the score; it’s a bit hidden, but it’s in the repertoire. And if you respect that tradition, respect that it is an opera composer writing a conversational piece, with the opera that he conducts in the back of his head, then you really get somewhere. It would be a fantastic quiz: to see who could pick out fifty quotations. Not five, not fifteen, but fifty! But what happened eventually, as we did this, my assistant and I – he’s a very intelligent young man, so he wanted to go further, to find another one, which I hadn’t, and so did I; I’m pretty ambitious – was, one evening, we came to a passage, and we said: ‘What is that? It’s absolutely a quotation, isn’t it?’ ‘Yes, it is. Shall I look it up?’ ‘Yes, look it up, and play it.’ ‘I can’t find it anywhere.’ And then we have walked into the trap that we are treating Richard Strauss – not Heldenleben or Also sprach Zarathustra, but Intermezzo – as a quotation. It’s archetypal, and we couldn’t think which opera it was from; suddenly we realised that it was the music in which one of the male characters talks about Christine – F minor, the key – now we think we have a quotation, but it is from the work itself. It has become part of us. … The writing is almost Mozartian. If you look at the manuscript for Nozze di Figaro, you don’t see a line to which he then added a harmony. It’s all one. That’s what Strauss does as well. MB: And of course no one loved Mozart more than Strauss did. And then, of course, there is the descriptive quality. As you know, Strauss can orchestrate the opening of a door. MB: That pictorial element: you can almost see what is happening on stage, just by hearing the score. Just as much as you can in Till Eulenspiegel or the Alpine Symphony. MB: … to extend its capabilities just a little. The level of craftsmanship is something I always find astonishing in Strauss. He’s probably the only person who could have revised Berlioz’s treatise on orchestration. What I would like is for the audience to feel what we did yesterday. We were all moved, almost to tears, when Christine declared her love to Robert. She sings six minutes of the most gorgeous music. MB: That reconciliation is something quite special. As you were saying, the plot is trivial, but the relationship at this point doesn’t seem entirely unlike that of the Figaro Count and Countess – although responsibility is somewhat differently apportioned. It’s as if they’ve been dragged into the 1920s, have lost their titles, and have become a bourgeois couple; after all, Strauss calls the opera a ‘bürgerliche Komödie’, doesn’t he? JvS: Very true. Everyone says that, in the opera, Strauss is giving his wife [Pauline, on whom Christine is based] a very bitchy character, but she has great love for him, and incredible respect. And, although she was a singer, she wanted very much to be a countess in life. They lived at the very height of Munich society. Strauss was a world star. JvS: …and Hofmannsthal, and so on. I think also of Prague, now, where I have a relationship with one of the orchestras. If you go to Prague and know that Alban Berg was there, Mahler too: they were all there: cultural centres with music of composers they loved to play every day. MB: Mozart and Don Giovanni too. JvS: Of course! Strauss is like that in Munich, Vienna, Dresden. All of these cities with such a rich tradition in opera. Prague had three opera houses, playing every evening. MB: And so close to Dresden too, where this opera was first performed. One realises that when one visits, and sees the road signs, even the restaurants. Much more so than in much of the rest of Saxony, Leipzig for instance. JvS: It’s a very interesting area. And in the 1920s, after the First World War, so alive! I love that era: I do a lot of Stravinsky, a lot of Alban Berg, a lot of Strauss. JvS: Yes, although I’ve never done Moses. It’s very high on my list, but you need a good house that will let you do it, and I’m free on the market. MB: The sort of work a Music Director will keep to him- or herself, then, as a statement? JvS: Very much so. And as a guest, it is more the other repertoire. MB: It would be wonderful to do Von heute auf morgen too, which is not entirely unlike Intermezzo with its ‘modern’, bourgeois plot. A similar dynamic, also a Zeitoper. MB: … Neues vom Tage. JvS: That’s it. This conversational style has a very short history, but a very interesting one. With Pierrot lunaire, Schoenberg took Sprechstimme so far, but the 1920s offered something different, which we still know far too little. Intermezzo at Garsington should offer a splendid opportunity for many of us to put that right. There was much to enjoy in this violin and piano recital, although Jack Liebeck took a while properly to get into his stride, his intonation and depth of tone proving somewhat variable earlier on, especially during Messiaen’s early Thème et Variations. The Theme suffered most in that respect, although there was nothing to fault in Katya Apekisheva’s despatch of the piano part. In the first variation, she offered a splendidly ‘hammerless’, post-Debussyan account, bells verily tolling and resounding. Later spikiness seemed to presage aspects of the Prokofiev sonata that would follow. The fourth variation seemed to point to Messiaen’s often overlooked Franckian inheritance in a properly full-blooded performance from both players. Indeed, the piano part seemed closer than usual to Messiaen’s organ writing. The final variation offered a taste of quintessentially Messiaenic ecstasy, notwithstanding an unfortunate slip by Liebeck. Prokofiev’s First Violin Sonata proved more consistent. The first movement revealed what we might think of as the ‘emerging chaconne’ quality of the opening theme and its consequences. This was a dark, rich-toned, yet variegated performance, the piano part astutely layered. The ghostly closing material disconcerted: the piano rock-solid, the violin casting proper doubt upon alleged certainty. Liebeck’s intonation again wavered during the second movement, but not really to the detriment of its character. Apekisheva’s performance was splendidly big-boned. Her opening una corda flurries in the third movement seemed to look back again to Debussy, as if the snow really were dancing. The violin melody that emerged above was nobly and sweetly sung. There was a winning sense of contrapuntal battle and of fun between the instruments in the final movement, before the sombre close paralleled that to the first movement. Darkness of mood and quality of musical invention worked in tandem. Fauré’s First Violin Sonata opened the second half. From the opening of the first movement onwards, it sounded like what it is: a freer, subtler, far less obvious, precursor to the better-known Violin Sonata of César Franck (a wildly overrated work). For me, this early work is one of Fauré’s most attractive, but then I have yet to ‘get’ several of his later works, which many people whose judgement I greatly respect consider his finest. Liebeck and Apekisheva achieved an excellent balance between ‘Romantic’ ardour and hints of something cooler, subtler to come. Lightness of touch did not deny emotional weight. Motivic unity was clear without any need for (Franckian) underlining. The scherzo was especially pleasing, a light-footed impression of Gallic homage to Mendelssohn. Various tendencies were united in the finale, which yet remained true to its particular character. Stravinsky’s Divertimento completed the programme, again in an excellent performance. The strangeness of the composer’s writing for violin registered, albeit without undue exaggeration. Here, of course, it is mixed with the strangeness of his response to Tchaikovsky. Rhythmic and melodic ghosts of The Soldier’s Tale danced in the Danses suisses, Stravinsky’s changes of mood and character very well handled. The ‘Russianness’ of the Scherzo seemed to evoke Petrushka’s Shrovetide Fair’; indeed, ballet was, quite rightly, the order of the day thereafter. Liebeck and Apekisheva showed themselves quite at home with the composer’s technical and musical demands alike. This was a splendid moment of light on an Election Day which… (Well, fill in the gaps: clearly the results pleased some!) In a lunchtime recital at St John’s, Smith Square, Richard Uttley offered excellent, truly thoughtful performance of works by Bach and Beethoven and the world premiere of Matthew Kaner’s Dance Suite, gently revealing dance-like affinities between them, as well as undoubted differences in method and character. The Ouverture to Bach’s D major Partita had a bright, declamatory opening, followed by much convincing dynamic contrast. Clearly founded upon Bach’s harmonic plan, there was, moreover, a great deal of simple (!) joy to be heard and felt. The Allemande was noble, yet yielding, melody and counterpoint in fine balance – and/or dialectic. Alluringly labyrinthine, it set the situation perfectly for the Courante to come. A gently, subtly affecting Sarabande was another highlight, the Minuet a light preface to a brilliantly committed Gigue. The two dances as yet making up Matthew Kaner’s Dance Suite are, in his words, ‘very contrasting’, a Mazurka and a Sarabande. I say ‘as yet’, because Kaner plans to add other movements in the future, including ‘a more whimsical and playful Gigue’. Bell effects in the high treble are a remarkable feature of the Mazurka. Rhythmic inflections clearly have some roots in Chopin – how could they not? – but there are hints of other Eastern European composers too, as well as Debussy, without ever quite sounding ‘like’ them. There is – and in Uttley’s performance was – a keen sense of fantasy true both to instrument and genre. The Sarabande is slow, yet moves. Harmonies always intrigued: sometimes familiar, sometimes not. I shall be very keen to hear more! Kaner’s claim of having ‘tried to allow myself to embrace the works from the canon that I feel drawn to, rather than attempting to completely reinvent the medium’ seemed to me spot on. Beethoven’s A major Sonata, op.101, is no rarity, but I think I have heard it less frequently over the past few years than the later ‘late’ sonatas. Absence certainly made the heart grow fonder, but so did this estimable performance. Melting tone was lavished on the opening of the first movement, but never for its own sake. Chords were as finely weighted as in the Kaner Dance Suite; Uttley never forgot that this is piano music. Rhythm and harmony were held in equally fine balance. The tempo was quite daring in its leisurely nature, yet utterly convinced. Splendid contrast was effected in the second movement. March rhythms were certainly part, but only part of that; harmonic understanding was just as crucial. Its trio offered a long line in the tradition of a Bach dance; the motivic working out could only, however, have been Beethoven’s. The slow movement was gravely beautiful in its eloquence, Beethoven revealed at his most Romantically innig. Bachian and Beethovenian lessons had clearly been well learned in the finale, which offered release, but also struggle yet to come. Form was properly dynamic. Beethoven’s greatness and sheer humanity were celebrated, reaffirmed. A concert from Britten Sinfonia and Barbara Hannigan boded well – and more than fulfilled expectations. Programmed around the idea of ‘Stravinsky and neo-Classicism’, it was not in any sense didactic, but highly enjoyable, whilst at the same time giving opportunities for thought: in my case, reminding me that what I tend more often to think of Stravinsky aping, or rather inventing, ‘neo-Baroque’ manners is not always so. The opening Overture to Idomeneo fairly took my breath away. Post-Gluckian grandeur and gravitas were from the outset the order of the day. Mozart’s hints of Salzburg luxuriance remained, albeit subordinated to dramatic purpose. The Britten Sinfonia may have been smallish in size, but it did not sound so. Hannigan’s direction was reassuringly ‘traditional’, for want of a better, less misleading word; but for the double-dotting, this might almost have been the late Sir Colin Davis at the helm, and I can give no greater praise than that. Splendidly grainy woodwind made their characterful presence felt. How I longed for the rest of the opera to follow! But instead, a scene from The Rake’s Progress followed on immediately. Affinity or difference? We could decide, and indeed, the either/or, as so often, was found wanting. Perhaps perversely, perhaps with justification, I found Stravinsky, in the opening woodwind lines, all the more strongly himself, even perhaps closer to The Rite of Spring, than ever. 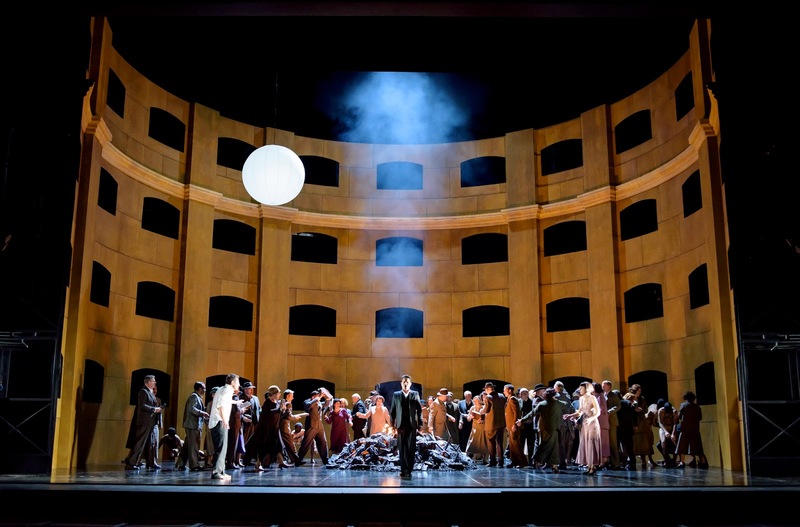 Hannigan’s vocal crescendo – yes, she sang and conducted – put me in mind of what one hears from Jonas Kaufmann at the beginning of the second act of Fidelio. I am not sure I have heard a more sparkling despatch of ‘I go, I go to him’. Moreover, what can sometimes seem mere clever words here had true dramatic import. And what a difference antiphonally seated violins made too. This may well have been the first time I have heard a live performance of Haydn’s Symphony no.49, ‘La Passione’, but then the same might be said of far too many of his symphonies. Surely no great composer, with the possible exception of Webern, is more hideously treated by modern concert life. The wait was certainly worth it, the first movement grief-laden, a true wordless drama, which of course is precisely what it should be. Excellent command of the longer line had one hearing forward to later Haydn works – I thought in particular of the Seven Last Words – and indeed beyond. Kinship with the composer’s Stabat Mater was also evident. Sturm und Drang characterised the second movement. Urgency was never mistaken for the merely hard-driven. Harmony remained at the root, if the pun may be forgiven, of all that transpired, expected or unexpected. The third movement remained dark in its onward trudge, its trio but a fleeting relief. In the finale, we went back, or rather forward, to Sturm und Drang. Motivic working seemed already to presage the Paris Symphonies. A splendidly full-blooded performance, not least from the strings, made me hungry for more Haydn from these superlative artists. Mozart’s Overture to La clemenza di Tito opened the second half. It was noble and, yes, grandly neo-Classical. (Of all Mozart’s works, this has long seemed to me the most worthy of that tag.) Again, weight and drama encouraged, indeed incited each other. Counterpoint was wondrously clear – these players are the match of any of our symphony orchestras! – and, crucially, was despatched with a fine sense of direction. This was a thrilling, absorbing account: again, I am delighted to say, quite the best I have heard since Sir Colin. I cannot help but wonder whether Hannigan should turn her thoughts to conducting a Mozart opera. She certainly has the voice and agility for singing one of the plum roles, as the performance of Bella mia fiamma, addio! made clear. (Hannigan has sung Fiordiligi, but I, alas, have yet to hear her do so.) The Britten Sinfonia strings were wondrously alert, as this lovely aria, woodwind from Elysium, made its way through typically extreme chromaticism to resolution. A taste in miniature of things to come? Let us hope so. Finally, the Pulcinella Suite; I dare say to ask for a vocal contribution would simply have been too greedy. The Overture was an object lesson, especially from soloists, in the illustration of Paul Griffiths’s memorable observation that Pulcinella is less a composition than a ‘way of hearing’ – although, as so often with Stravinsky, one could with almost equal justification argue quite the contrary. There followed a Serenata that was graceful to a degree in its slightly wistful lilt. In the sequence thereafter, I occasionally, to my surprise, found a slight want of the utmost rhythmic definition, but colours remained both bold and subtle. By the time of the Tarantella, there was certainly not the least slackness. Mozartian Hamoniemusik seemed more strongly echoed in a number of movements than I could recall previously hearing. (Hannigan did not always conduct.) The strange apotheosis of the final movement resonated in startling fashion; nor was it rushed. It made for a splendid conclusion to a splendid concert. The Eichendorff Liederkreis seems to become still more wonderful with every hearing. That is in large part, of course, a measure of its stature; however, in this case, I think it was also a measure of its performance. Dorothea Röschmann and Mitsuko Uchida gave a wonderful performance, as heart-rending as I have heard and probably more so than any I have heard with respect to the piano part. Uchida is universally recognised as a great Schumann pianist, yet even so, I was taken aback at how newly minted the music sounded. Every note had a purpose, yes, but the longer line, both within songs and with respect to the cycle as a whole was unerring. That was never at the expense of character, of incident; indeed, the relationship between moment and work could hardly have been better projected. Thus, for instance, the Bachian counterpoint of ‘Auf einer Burg’ offered up all manner of possibilities: pictorial (the castle and the ‘alte Ritter’), musico-historical, and connections with other Schumann works (the Arabeske, the Schumann works for pedal piano). Yet this was not in any sense a one-woman show. Dorothea Röschmann’s dramatic soprano ensured there was nothing of the drawing room to the performance. All manner of colours were employed, at the service of the text, yet in no sense hidebound thereby. Eeriness, sorrow, even occasional joy and ecstasy: all were present, all were vividly communicated. The sheer beauty of ‘Mondnacht’ had to be heard to be believed: I am tempted to say that Röschmann and Uchida more than gave Jonas Kaufmann and Helmut Deutsch a run for their money, although the comparison is doubtless meaningless. As Mahler’s early songs seemed to draw ever nearer in spirit, the concluding ‘Frülingsnacht’ reminded us that we remained in an earlier Romantic age, with concerns and rapture very much its own. Moving to Berg in the second half, it was striking how much one heard of Schumann and Brahms, although these ‘early songs’ are by no means mere juvenilia. In the hands of such artists, though, such was context rather than overweaning influence; there was no doubt that this was the ‘real thing’, nowhere more so than in the extraordinary, opening ‘Nacht’. Uchida’s treatment of Berg’s harmonies and their interaction with formal concerns – at this stage, he was almost entirely a song composer, perhaps presenting the prospect of a new Hugo Wolf – captured perfectly both their early twentieth-century ‘moment’ and the prospects of a Bergian future some at least of these gems genuinely offer. The use of the whole-tone scale in that first song, for instance, had it sound as radically voluptuous – or voluptuously radical – as I can recall. And twelve-note writing seemed not so very far away by the end. Röschmann expanded further the vocal palette on which she drew, or perhaps from which she could paint. Again, the balance struck between almost, but not quite, ‘operatic’ lines and detailed response to the words was admirable. I should love to hear her in more Berg. It is doubtless too easy a claim to say that Frauenliebe und –leben benefited from two female artists; it benefited from excellent performances. And yet, gendered concerns can hardly be banished completely, given Adelbert von Chamisso’s text. What I can say is that the falling of the veil, the self-withdrawal of the closing ‘Nun hast du mir den ersten Schmerz getan’ pierced my heart more than I can recall. Uchida’s exquisite handling of the postlude was the final blow, of course, with abundant resonances from across the cycle and indeed beyond it. But that would have been nothing without earlier preparation, both in that final song and throughout the cycle. Röschmann conveyed excitement, contentment (a difficult task), joy, really everything for which she was asked. Once again, there was little distinction to make between the two parts: this was a true partnership, one I felt privileged to have heard. Yet, if only as a just consequence of the greater importance Schumann allotted to the piano part, not least structurally, it seemed that Uchida’s formal grip – and fantasy – led the way. A good number of recent shorter operas, particularly those performed in this country, made a stronger impression with their libretti than their scores. Glare, performed in the Linbury just a few months ago, was a case in point; so, I think, was The Virtues of Things. The former work is highly plot-driven, more after the manner of a television drama than we tend to expect. ; this is somewhat different, a welcome stab at a contemporary operatic comedy, but one whose words, by Sally O’Reilly, seem to get in the way of musical setting, which in turn, or perhaps even fundamentally, never seems able to free itself enough of those words. 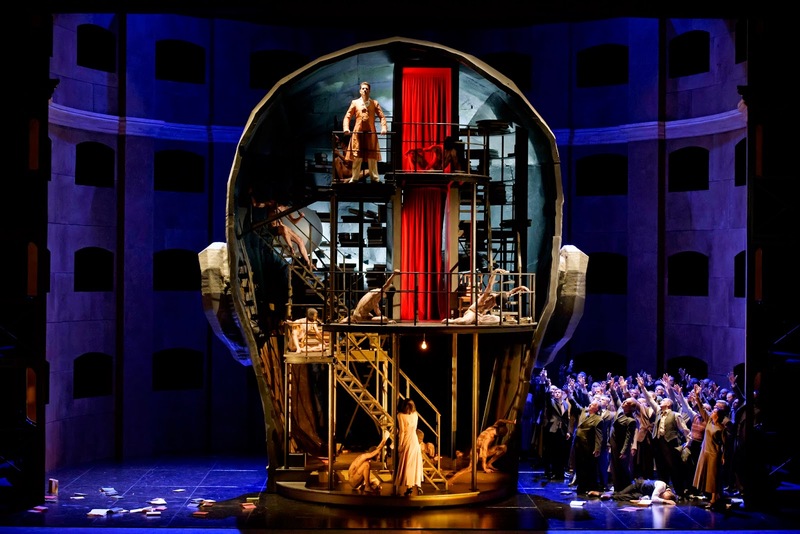 Maybe I am hopelessly outdated in thinking that a libretto should provide space for music and not attempt too much on its own, but this opera seems to offer some confirmation. The relationship between Wort and Ton has, of course, been the concern of many a treatise, and indeed a good few operas, but this work in three short acts, about eighty minutes in total, seemed rather too lengthy for its material. Capriccio it is not. I could not help but wonder whether it might have been better at about half the length, paired with another, contrasting work, as happened last year, in the first such collaboration between the Royal Opera, Aldeburgh, and Opera North: The Commission and Café Kafka. A traditionalist prop-making company, the de Selby family Business, is imperilled by illness, Parabola having fallen ill (the same illness will soon strike the other senior designer, Ellipsis), and then by the visit of a technologically-minded freelance replacement, Eames. 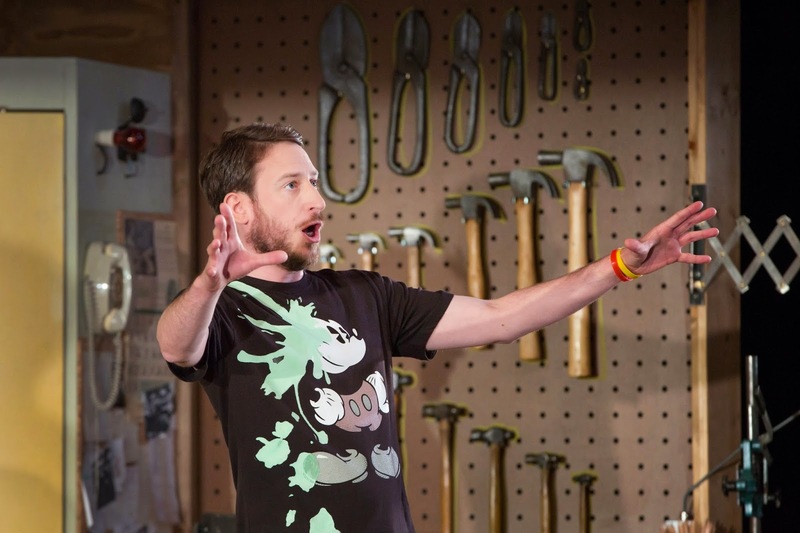 There are some interesting enough observations upon the nature of stagecraft; should one, for instance, start with something naturalistic and generalise, or the other way around? But the thrust eventually seems to concern significance, in a more or less semiological sense. Ellipsis – yes, the clue, it would seem, lies in the name – reacts in absurdly strong fashion to the props and their meaning. Increasingly, the family seems incapable of distinguishing between art and reality, snatches of different operas on which it has worked appearing and taking over, until all fall down – and a bemused Eames departs. The problem, as hinted above, seems to be that there is little space left for music, or at least that little space is created by it. Matt Rogers’s score is perhaps at its strongest in the broader distinctions it offers, the quasi-bureaucratic tidiness of the first act gradually disintegrating in parallel to the family’s minds. Instrumentation – string quintet and wind quintet – puts one in mind of an ensemble approaching, although not quite reaching, that of, say, Schoenberg’s First Chamber Symphony, and indeed, in the excellence of performance offered by the Aurora Orchestra and Richard Baker, there is something of that brilliance. Was that a deliberate nod towards Schoenberg’s score in the first act, when ‘complexity’ was discussed; or was it just my imagination? I am genuinely not sure, though I was intrigued by the thought itself and by the ambiguity of my response. Otherwise, however, the setting remains, at least for my taste, a little too closely tied to the needs of the words, rarely if ever breaking free and thus offering the prospect of higher conflict and/or integration. It is difficult, moreover, to perceive anything much in the way of affection or consideration for voices. Again, the words, it seems, take precedence. Within the frame of Bijan Sheibani’s sharp direction and Giles Cadle’s resourceful designs – an excellent, properly naturalistic workshop, transformed by the action and, at the end, by Matt Haskins's striking lighting of the opera, The Virtues of Things – the cast did an excellent job. David Stout’s steadfast, honourable traditionalist and Fiona Kimm’s increasingly unhinged, often scene-stealing Ellipsis vied against Paul Curievici’s splendid stage and vocal presence, Robyn Allegra Parton’s often-high yet sometimes challengingly low soprano veering towards the youthful attractions of the latter, at least earlier on. Richard Mosley-Evans’s quack doctor did a fine turn too. Diction was excellent throughout. I simply wish there had been more of interest in the vocal and indeed in much of the instrumental writing. Further performances will take place at the Linbury (5. 6 May), the Britten Studio, Snape (9 May), and the Howard Assembly Room, Leeds (15 May). Kasper Holten’s production is relatively straightforward, but none the worse for that. Save for gentle costume updating to the time of composition, it is difficult to imagine self-styled ‘traditionalists’ having anything much to worry about. 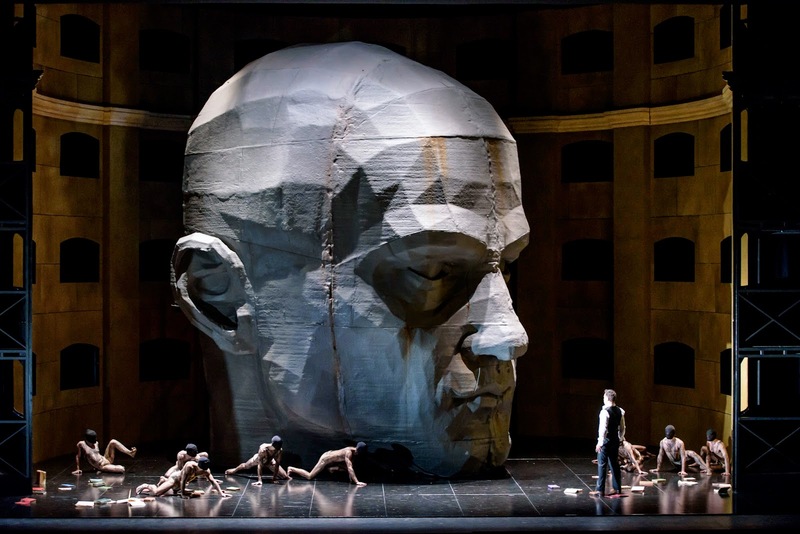 A gigantic King Roger’s head, in different states, inhabits the centre of the stage. Are we to understand that the conflict between Apollo and Dionysus is entirely within his head? Probably not; surely there remains some important element of the social. However, a reminder that this is, amongst other things, his conflict is no bad thing. Oppressive, patriarchal Orthodoxy surrounds the realm of the personal in the first act. In the second, the head turns around so as to reveal, if not strictly speaking, the inner palace courtyard of the libretto, then something pretty close: royal quarters, in which books – is that, ultimately, whence these dangerous ideas come? Nietzsche, perhaps? – are prominent. In the basement are writhing bodies, refugees from Tannhäuser’s Venusberg – which, in terms of the work, musically as well as conceptually, is very much what they should be. Cathy Marston’s choreography did little for me, I am afraid, but having recently endured again the absurdly excessive dance of Sasha Waltz’s Tannhäuser, there was relief for me to be had in lesser intrusion. The third act, rightly, presents ruins, both social and personal. The head has been destroyed under whatever new dispensation it is the Dionysian Shepherd offers. Not for the first time, I thought of Henze’s The Bassarids in Christof Loy’s Munich production. The dangers of this brave new world are clear, for, not only have the erstwhile faithful blindly followed their new master, they blithely throw a few surviving books upon the pyre. To destroy culture is cheap, as inconoclasts from Alexandria to Rupert Murdoch to ISIS have known all too well; the cost is crippling. Mere hedonism is not the way forward; the blinding light at the end – here as simple and as striking as in Mariusz Treliński’s production, which I saw in Edinburgh in 2008 – shows that another path for Roger, and for us, will not be easy; it may not even be right. We need, however, to try. If, sadly, as in Treliński’s staging, Szymanowski’s overt homoeroticism is played down, then there are other ideas well worth pondering: not hammered home, for such tends not to be Holten’s way of operating, but more open-ended, which seems quite apt for the work and, in particular, for its unresolved, perhaps irresolvable, conclusion. After all, the final C major chord is no more convincing as affirmation than that in Elektra; the Shepherd’s strains remain. Antonio Pappano’s conducting proved somewhat disappointing, although he certainly seemed aware of the difficulties of balance within the orchestra and for the most part steered a judicious enough path in that respect. However, if not so bedevilled by stopping and starting as his Wagner, Pappano’s account nevertheless seemed incapable for the most part of rising above the indifference of mezzo piano, to misquote Pierre Monteux. The orchestra here is defiantly post-Wagnerian, at least as much a character as anything we see on stage; here, despite some truly excellent playing, Pappano reduced it to mere accompaniment. There was too much of a tendency to meander, too: a hostage to fortune to those who would claim Szymanowski’s world amorphous. It is not, but it requires a more comprehending conductor to present to full advantage its golden tapestry in motion. Choral singing, however, was excellent, from, to quote Stephen Downes’s excellent programme note, that ‘majestic, awe-inspiring chorus’ onwards. Indeed, in that’ Byzantine Sanctus sung in harmonies that evoke archaic primitivism and power,’ the basses – a sizable extra chorus had been enlisted – offered a highly convincing impression of their Eastern European confrères. Weight and sensitive diction were, throughout, shown to be anything but opposing tendencies. Renato Balsadonna and his singers deserve great credit, not least for discretely posing the question of to what extent we might consider this work a staged oratorio. It is a tendency rather than an identity, but a worthwhile tendency to raise, especially given the subject matter. The cast was excellent too. At its heart stood Mariusz Kwiecień’s Roger. Although an ailing Kwiecień sounded – if only relatively – a little tired at the end of the second and third acts, that in no way detracted from the thoughtful heroism of his portrayal. It is a role with which, of course, he has a lengthy association; indeed, on this occasion, it seemed made for him, so close were his identification and projection of the King’s conflicting voices. This was certainly not a Roger, even when unwell, who stood in need of Pappano’s quenching the fires of Szymanowski’s orchestra. The rest of the cast seemed no more in need of that. Saimir Pirgu offered an alluring, properly dangerous, ultimately yet prematurely triumphant Shepherd, whom many would have followed. The alterity of his Lydian-inflected music, deliberately non-developmental, ‘an enclosed, complete and self-referential musical system’ (Downes), made its dramatic point strongly, even without the overwhelming orchestral contribution that might have been present. Georgia Jarman’s Roxana certainly seemed clear why she was doing so, yet not without affection for her consort; one sensed that she would like to have included him. Her second-act aria was as ravishingly sensual as anyone might decently – or indecently – have hoped. Alan Ewing, Agnes Zwierko, and Kim Begley all distinguished themselves in the smaller roles. Old Szymanowski hands and newcomers alike should hasten to the Royal Opera House.